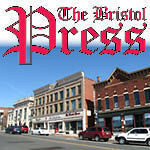 BRISTOL - Preservation is important to the mission of the Bristol Historical Society year round, but the organization will celebrate it officially at the end of April this year, as part of Preservation Week. On Saturday, April 27, the Historical Society at 98 Summer St. will be open from 10 a.m. to 2 p.m. The theme is “Picturing Bristol,” and visitors are encouraged to bring photos, documents and other memorabilia to be scanned or photographed by BHS volunteers so that those items can be preserved and become part of the society’s collection. The Historical Society will have some photographic displays of Bristol’s past businesses and various items from the collection. The Bristol Historical Society is also home to the Memorial Military Museum and Bristol Sports Hall of Fame galleries. The “Picturing Bristol” Preservation Week event is free and open to the public. All items scanned and/or photographed will be immediately returned to the owner. Posted in The Bristol Press, Bristol on Monday, 15 April 2019 21:12. Updated: Monday, 15 April 2019 21:14.